The Tecno i3 and i3 Pro are among the i-series were alongside the Tecno i7, i5 & i5 Pro into the market following the W-series, both smartphones are now available for purchase in Indian smart phone market. They are mid-range smartphones with a design totally different from that of other members of I-series. Tecno i3 and i3 pro are nikename ( shine from the inside out). The flagship is the super low-light selfies feature and the battery capacity of 3050mAh.botth smartphones have almost the same features and specifications and in fact the same design, with the only difference being the RAM capacity. 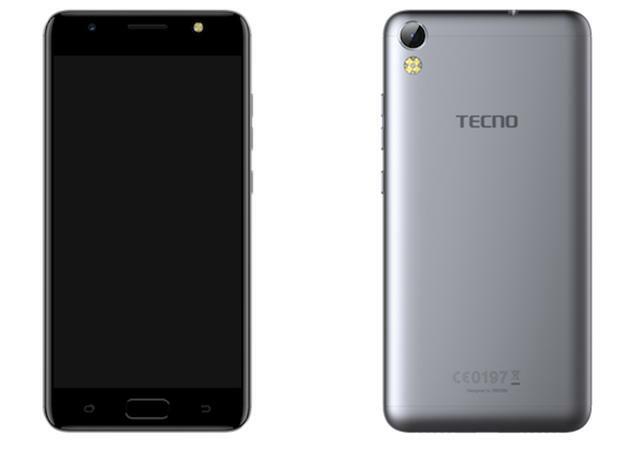 They even share similar specifications with theose Tecno i5 and i5 Pro. The Tecno i3 and i3 Pro have metal unibody design with a 5-inch HD (1280 * 720) IPS display.It has no finger print sensor, comes with dual flash light and the volume key are at the edge.Its bezels are black and a physical home button is present below the display at the front placed in-between two capacitive navigation buttons. The smartphones weigh 145 grammes and are just 7.9 millimetres thick, and come in Champagne Gold, Sky Black and Space Grey colours, like other members of the series. The Tecno i3 and i3 Pro are powered by a MediaTek MT6737 processor with four processing cores (quad-core) and a clock speed of 1.3GHz. They have 16GB of internal memory,however, they have RAM spec difference, i3 Pro RAM (3GB) and i3 (2GB). Both smartphones sport 8MP cameras at the front and rear for photo and selfie purposes, and their rear cameras are accompanied by a quad-LED flash while the front cameras manage a single LED flash. Tecno i3 and i3 Pro pack 3050mAh non-removable batteries with no support for fast charging. They have dual Nano SIM slots, both of which support 2G,3G, and 4G LTE network connectivity. The i-series just like all new 2017 runs on Android 7.0 Nougat out of the box with Tecno’s HiOS with customisable features layered. The Tecno i3 and i3 Pro are available in India for Rs. 7990 and Rs. 9990respectively depending on the store. If you’re planning to get them in Nigeria, you should has an estimate N38,000 for i3 and the i3 Pro N48,000.